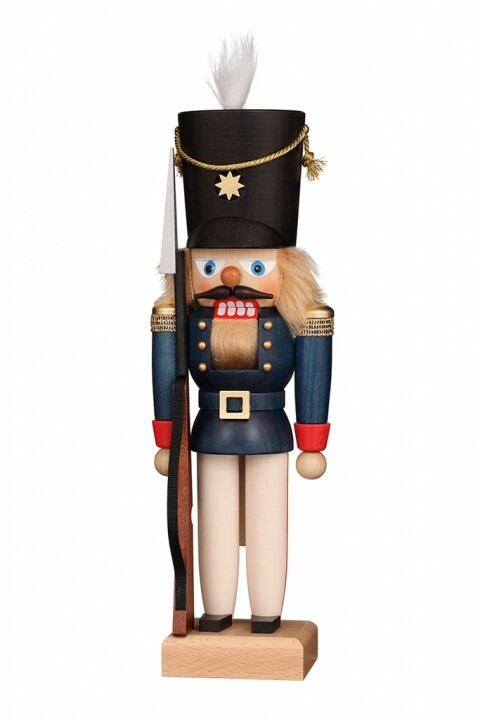 The Festive uniform of the nutcracker soldier is richly decorated. Golden epaulettes make the jacket's noble blue shine. The long white pants have bright red tucks on the side. His rifle with bayonet has the soldier firmly under control.